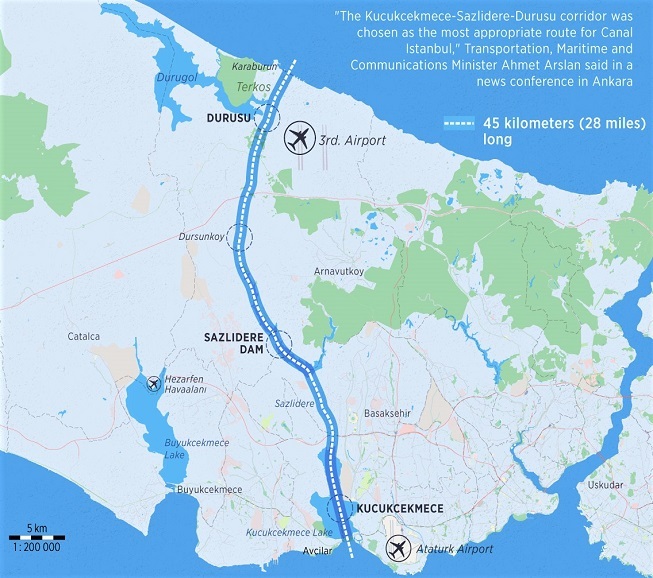 Istanbul Canal Project: What Does the Future Hold? As part of Turkey’s mega project portfolio, it is even bigger and more expensive than the new airport that will be the world’s biggest travel hub. Even Recep Tayyip Erdogan, the country’s president called it a “crazy project.” However, speculation is rife whether the development will go ahead or whether it has been shelved because of Turkey’s current economic problems. People who know Turkey well, can testify that what is said and what happens are two different things. Plans often change in a heartbeat but to understand the intense hype around it, let’s look at the details behind it. Why Does the Turkish Government Want to Build it? Tankers and cargo ships pass through the nearby Bosphorus straits, but the Turkish government says it is over trafficked, polluted and there is an increased risk of accidents. In April 2018, most Turks watched in amazement as a ship ran aground and crashed into the historical Hekimbasi Salih Effendi Yali. The valuable building, although not inhabited is often rented out for weddings and events and is under protected historical status. In August 2018, Daily Hurriyet news reported two near misses of malfunctioning ships. 42,500 ships pass through the straits every year, and since 1953, more than 400 incidents have been recorded. It’s the world’s second busiest shipping route. Changing currents and several sharp turns add to the difficulty of navigating it. The new canal will be 400 meters wide in some parts and provide relief to traffic passing through the Bosphorus and decrease collision risks. Current estimates put final construction costs at a staggering USD 15.6 billion. Speculators are quoting this cost when they question whether there are funds in place. Kadri Gursel, a reporter for Al-Monitor, said Turkey’s new economic program for 2019 to 2021 states mega projects will only go ahead with foreign direct investment and international financing, hence confusion about whether it is on hold. Where is the Planned Route? The planned route will cut through European Istanbul. Starting from Kucukcekmece lake and the Marmara Sea, it will pass through Avcilar, Basaksehir and Arnavutkoy before breaking out into the Black Sea. On November 15th, Turkey’s transport and infrastructure minister, Cahit Turhan told Anadolu Agency, there is no delay and construction will start in 2019 and be complete 4 years later in 2023. This is the same deadline for completion of Istanbul’s third airport and coincides with Turkey’s 100-year anniversary. Worried environmentalists are pointing at unrepairable ecosystem damage. Destruction of forests will affect air quality and changing natural water flow will affect salinity and oxygen levels and cause harm to marine life. The government disputes this. They say they are lowering pollution risks because the straits suffered in the past when substances like oil have leaked into the waterway following collision of ships. What Will the Finished Project Look Like? This is about much more than relieving traffic from the Bosphorus. TRT World says the government is estimating an annual 8 billion USD revenue from charging ships to pass through. The Montreux Convention means, they don’t pay to pass through the Bosphorus. 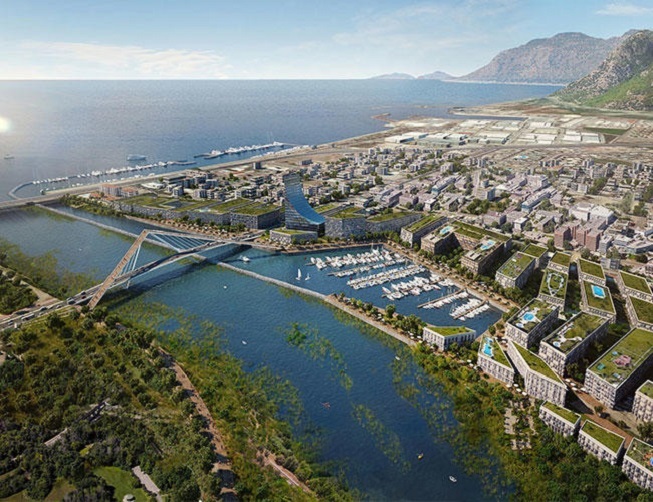 Real estate prices in neighbourhoods on the planned route have already risen by 50% and developments on either side of the canal will also form a new mini-city. Comprising of leisure and lifestyle facilities, the aim is to get people spending money and to create jobs. For now, the government says it is going ahead, while economists are pointing towards a lack of funding. We will have to wait until 2019 to find out whether it will become a reality. Exploring Asian Istanbul: Much hype focuses on European Istanbul, yet in this article, we look at the Asian side and why it’s worth exploring. Mansions of the Bosphorus: Yali houses of the Bosphorus are Turkey’s crème de la crème of real estate. Often selling for 50 million USD or more, why are rich real estate investors are eager to get their hands on one?